Way back in …. 2005 probably. 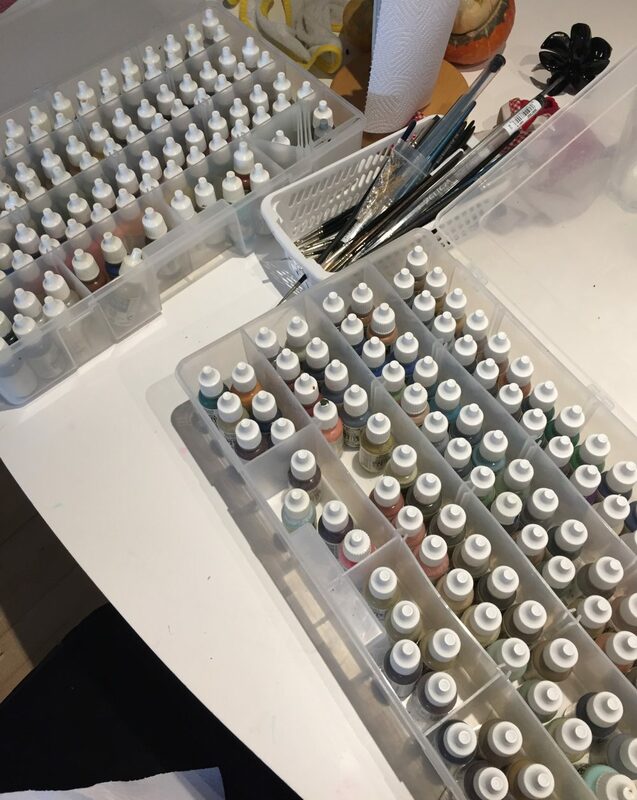 I purchased a lot of the Reaper Master Series paints. After I restarted painting i 2009; I purchased the rest of the line. That is a lot of paints. I have been testing some of them and so far they have all been ok! They don’t seem to separate and they aren’t particularly grainy. The text on the label has faded on some of them. They are now Mystery Paints. The Vallejos I have tried have also been ok. I haven’t had the courage to try and open a Citadel one yet…. The don’t usually age well.